The Bronx River Conservancy welcomes all to join our effort to preserve, protect, clean and beautify the 800 acres of parkland from the Kensico Dam to the Bronx border. 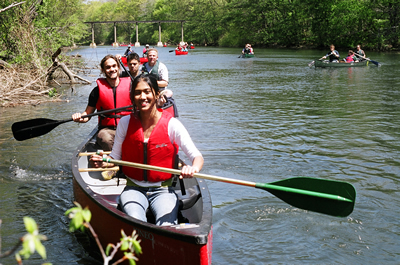 Joining is as simple as sending a check payable the BRPRC for $25 or more together with your name and address to The Bronx River Parkway Reservation Conservancy, 81 Pondfield Road, Suite D277, Bronxville, NY 10708. We welcome interaction among all members with the BRPRC to further those areas of advocacy listed below. Please contact us with your ideas, concerns or to volunteer. Our annual meetings are held in May. All are encouraged to attend. Join us in the spring for "Pitch in for Parks" events and go to www.vinecutter.com for a schedule of our volunteer events.